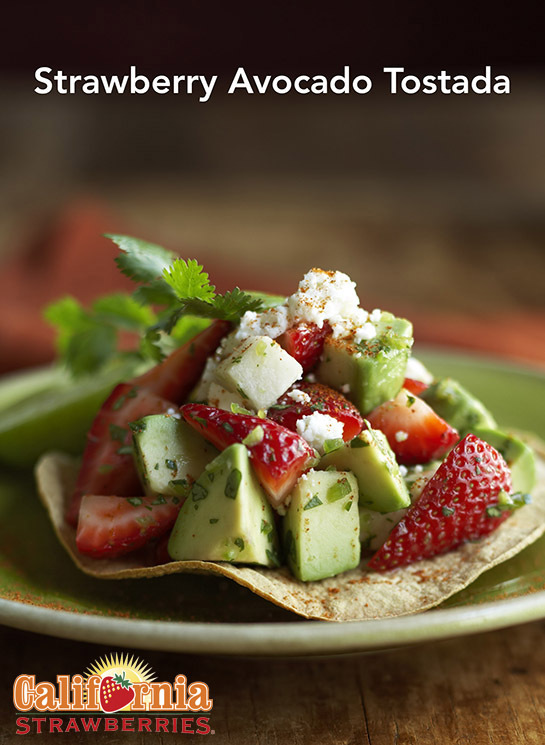 This recipe for strawberry and avocado tostadas is a good starter recipe for those looking to experiment with new ways to enjoy strawberries. 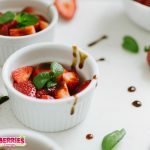 You might also be pleasantly surprised at how delicious strawberries can be when added to savoury dishes. Their sweet and tangy juiciness blend perfectly with creamy avocados and queso fresco to make delicious starters or sides. In large bowl, mix together strawberries, jicama, cilantro, jalapeño peppers and lime juice. Add avocados; fold together gently. Season with salt. Arrange tortillas on oven rack in one layer. Toast about 10 minutes or until crisp and starting to brown. Mound 1 cup strawberry mixture in centre of each tortilla. Sprinkle each tostada with chili powder and 1 tbsp queso fresco. Garnish with 1 cilantro sprig and 1 lime wedge. 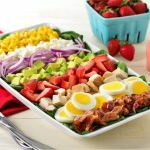 This recipe was kindly provided by our featured member, California Strawberries.